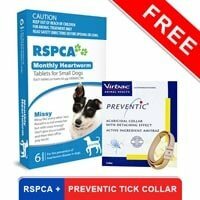 RSPCA Monthly Heartworm Tablets, an IndyVet product is a monthly generic heartworm preventive. It has the same ingredient as Heartgard - Ivermectin that provides comprehensive protection against heartworms at a reasonable price. But this product is not recommended for coolies and other ivermectin sensitive dog breeds. 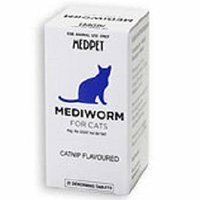 Ivermectin, one of the most effective heartworm preventive ingredients is present in this treatment. It aids in getting rid of the tissue stage of heartworm larvae (Dirofilaria immitis) that affected the dog a month prior to giving the treatment. 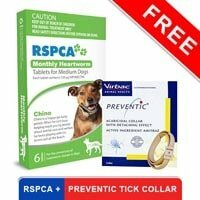 RSPCA Monthly Heartworm for Dogs comes in a tablet form that aids in preventing heartworm disease in dogs. It is one of the most reasonably priced heartworm preventives available in the market - albeit a generic heartworm preventive. It is recommended for all sizes of dogs. 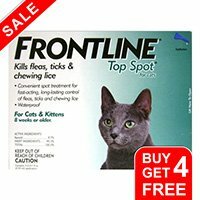 It is extremely safe on dogs and does not cause any adverse effects on him. 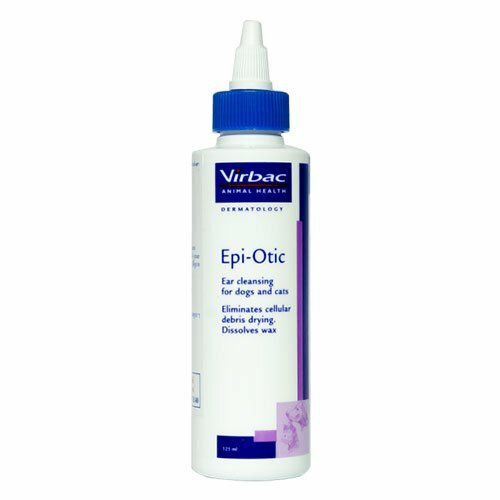 This treatment is recommended for dogs more than 6 weeks of age. It is recommended to commence the treatment during the season when mosquitoes carrying infective larvae are active. The first and the foremost dose needs to be given the preceding month of the first exposure to infected mosquitoes. This treatment needs to be continued for an entire year for best results. While replacing another heartworm preventive treatment with RSPCA ensure that the primary dose of the RSPCA is given within a month after the last dose of the former treatment. Weigh the doggy and then select the appropriate pack size accordingly. The tablet can be given orally or mixed in the dog food. If you mix it in the dog food ensure that the doggy completes the entire meal for the dose to remain effective. Administer this treatment on a monthly basis to prevent heartworm infection. Before using the treatment read the instructions given on product label properly. Children and other pets should not be allowed to get near the product. It is important to conduct heartworm testing for prior heartworm infections in the doggy before starting this treatment. This treatment is strictly for animal use only. Use this product on a year round basis. Caution:Collies including Border Collies and other breeds have genetic intolerance to Ivermectin. Those pet owners with Collies and other susceptible breeds should look for alternatives to Ivermectin for the treatment of parasites. Works the same as the high priced products. Why pay twice, or more, as much for the same perotection? RSPCA does not have any side effects and has the best efficiency in eliminating the immature stages of worms.